There is 0 product(s) in your cart. At Corsair, we believe that you need more than just dramatic audio. You need the comfort that allows you to play or talk for hours without thinking about what´s on your head. You need fidelity that gives you a listening experience that´s not just immersive — it must also be true to the source material. And, of course, you need the detailed positioning and situational awareness that lets you play your best. Enjoy high-performance gaming audio without worrying about wires. With a battery life of up to 10 hours and a range of up to 40 feet, you won´t miss out on any of the action. Dolby Headphone technology gives you the tactical advantage you need for victory. Accurate reproduction of multi-channel 5.1/7.1 surround sound gaming audio helps you locate your opponents even if you can´t see them, for an immersive, realistic gaming environment. Whether you´re calling out DPS targets or just chatting between matches over VOIP, the unidirectional, noise cancelling condenser microphone ensures that you´re heard loud and clear. The adjustable, rotating boom flips out of the way when you don´t need it. The microfiber-covered memory foam earpads and padded headband let you play in comfort for hours. And if you manage to run the 10-hour battery all the way to zero, you can use the Vengeance 2000 even while it´s charging. 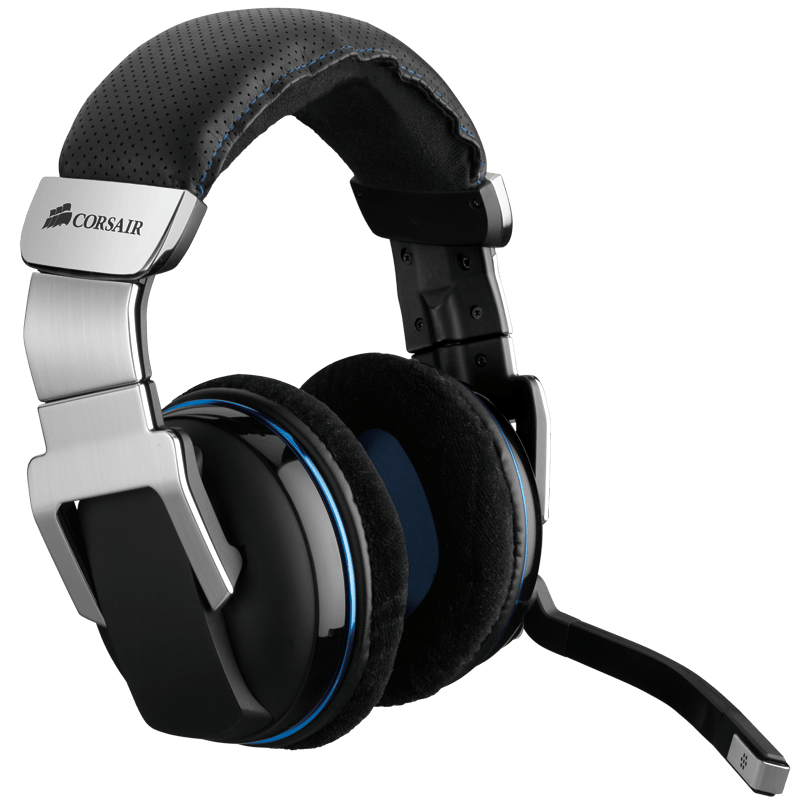 The Corsair Headset Software Version 2.0.7 with Dolby Headphone V2 and Dolby ProLogic IIx surround sound technologies is now available for download, and is designed to be used with the Corsair Vengeance 2000 and Corsair Vengeance 1500 Headsets. Version 2.0.7 is compatible with the following Windows operating systems: XP, Vista, W7, W8. Please login to subscribe our newsletter! © Copyright 2012 - 2019 DEXTmall.com. All Rights Reserved.